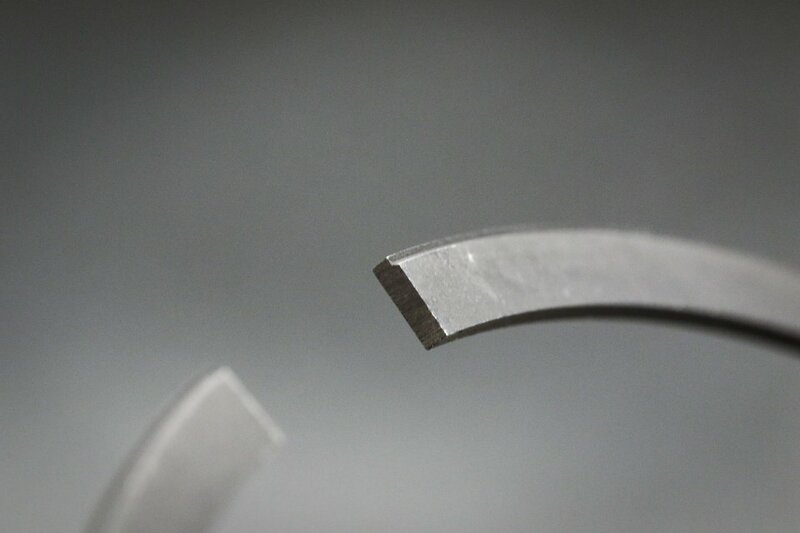 Piston ring packages are as carefully engineered as any high-performance part, but the “middle child” might be the most misunderstood. Here’s a look at the science that goes into second ring design. Written by Wiseco. A conventional automotive ringback must work in harmony to seal combustion pressure, control oil, and transfer heat into the engine block.While it’s easy to look at the top ring or the oil ring at the bottom and intuitively understand their contribution to meeting these objectives, the second ring is more of a mystery. What’s it supposed to be doing, and why is it necessary? How do the materials used and physical properties of the second ring affect performance? To answer these questions, we turned to Senior Technical Account Manager Alan Stevenson, the go-to source for knowledge about piston rings. Note the subtle hook shape at the edge of the ring. This is a Napier-style 2nd ring and that “hook” helps it pull oil off the cylinder wall as the piston slides down the cylinder bore.For our first question, we asked Stevenson whether the second ring had a role in containing compression or combustion gasses. “There was a time when bores were so bad in terms of surface finish, roundness, and so on, and ring materials were a lot worse, so that pistons used to have four rings; two for compression sealing, one for scraping oil, and one for pumping oil,” he explains. “The terminology hasn’t kept up with the technology. 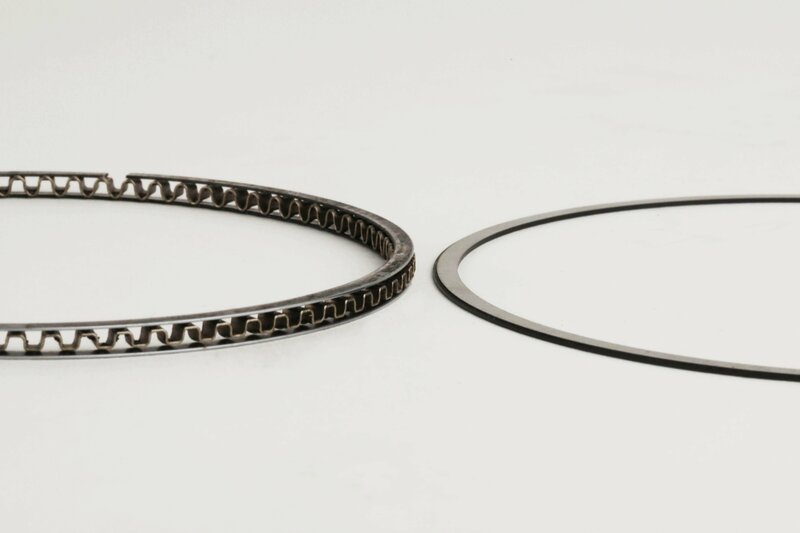 Referring to a contemporary second ring as a compression ring is a misnomer.”So what’s the contribution of a modern second ring to combustion chamber sealing? Per Stevenson, “Negligible. There have been SAE papers published that prove how enlarged second ring gaps actually increase top ring sealing and power. Combustion sealing is 100 percent the top ring’s job.” Combined with other piston features, the second ring’s role in this respect is to keep the pressure in the crevice space between it and the top ring as low as possible, giving any blow-by that makes it past the top compression ring a way to quickly escape to the crankcase. As it turns out, the second ring has a lot more to do with lubrication control than the “oil ring” beneath it. “The second ring is what scrapes the oil,” Stevenson explains. “The oil ring is what gathers it and pumps it away from the cylinder walls via oil return holes in the oil ring groove.” The second ring’s main function is to continuously remove excess oil from the bore – as the crank rotates, oil escaping from the pressurized bearings on the rod big ends is constantly thrown up behind the piston, coating the walls of the bore.